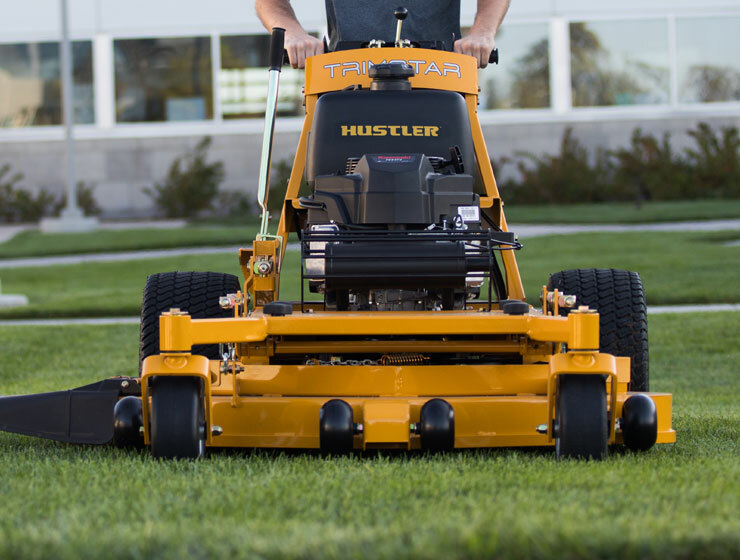 The TrimStar has the best warranty in its class in the industry. TrimStar is rated 5.0 out of 5 by 3. Rated 5 out of 5 by jimmy from awesome machine I've had it for a couple seasons and think this machine is a great product. 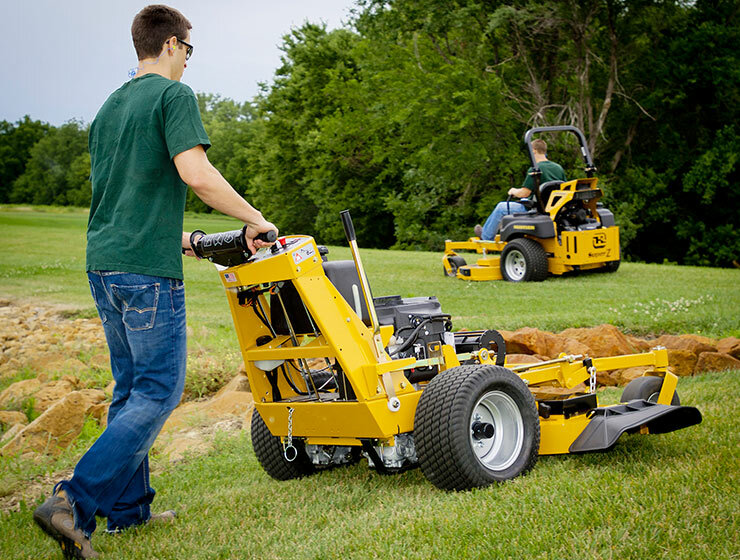 Do the walk behind units have any greater capability for mowing on steep banks than the conventional ride on zero turn mowers? Depends how steep your bank's are. I have a walk behind and rideon.the walk behind is capable of some serious bank work because of the low center weight of gravity. I have a 36&quot; Trimstar and want to get a sulky for it. It doesn't appear that Hustler has the roll on striping sulky now. What would be a good choice? Velke X1? How difficult is it to install? Thanks for any suggestions. Velkie x2 the dual wheel is a very good choice or the X1. The X1 is a single wheel the x2 is a dual wheel .